This is in the top 3 Tummy Time questions I get asked. You've been diligent about daily Tummy Time but suddenly your adorable kiddo has learned to roll off his belly or scoot off the Boppy Pillow. Are his days of Tummy Time over??!! As your baby gets more active, Tummy Time will become a position for MOVING - crawling, exploring, and transitioning from one position to another. He'll achieve the benefits of Tummy Time through this movement (strengthening, shoulder joint development, sensory input to the upper body, etc.). BUT, especially with early rollers, there is often a period of time once babies can roll but before they're ready to crawl when they can effectively end Tummy Time on their own terms. This is of greatest concern when head flattening (Positional Plagiocephaly) and/or Torticollis are issues. 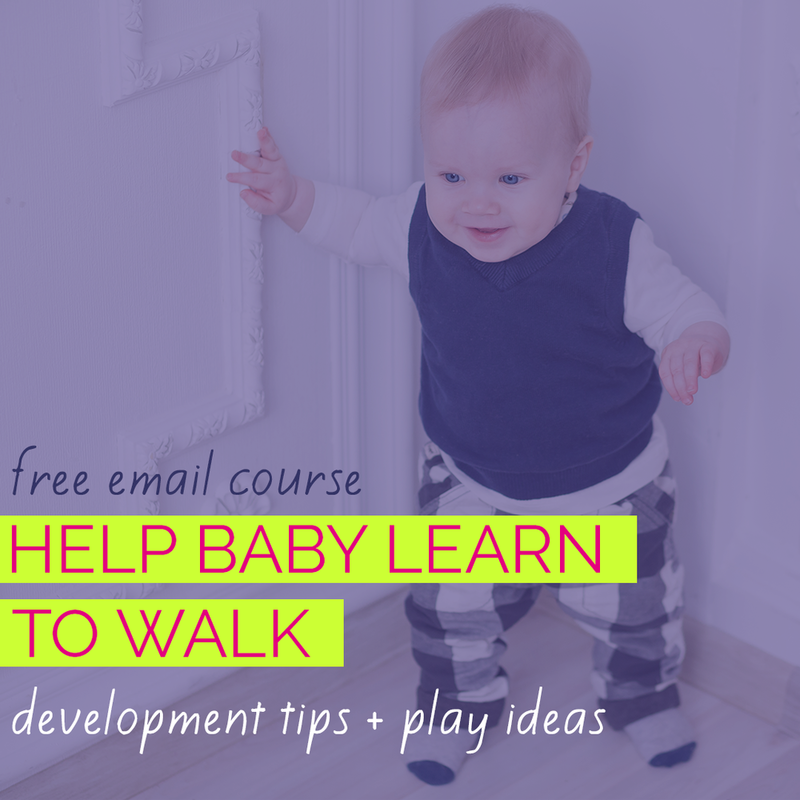 My biggest encouragement is for parents to offer activities that require belly-down or sidelying positioning to be enjoyable - trying to capitalize on your baby's curiosity to keep him in Tummy Time rather than forcing him to stay there against his will. 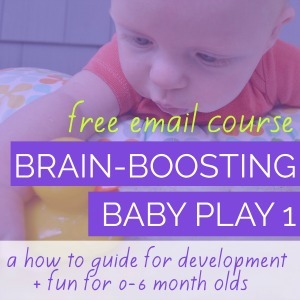 Learn more about helping early rollers (2-3 months) continue Tummy Time. 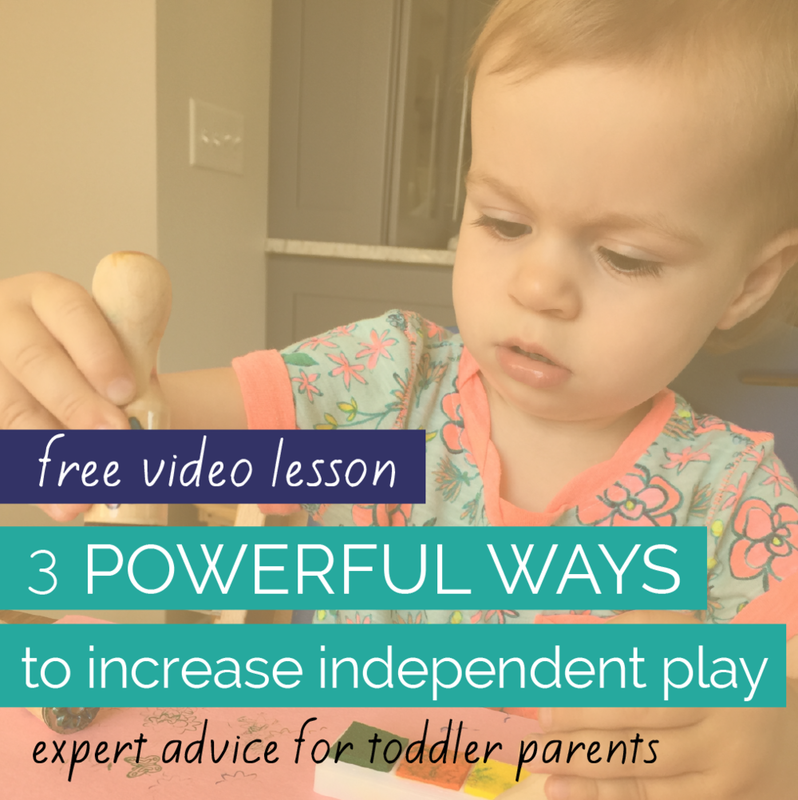 Discover ways to play with your bigger baby belly-down once he rolls out of Tummy Time. Fingerpaint in a Ziploc baggie is a great sensory activity for little ones and it's a hot activity on Pinterest. But I looked at what most consider an activity for babies who can sit up and toddlers and saw a SUPER Tummy Time activity. I used Crayola Washable Finger Paint. If your baby isn't yet reaching in Tummy Time, you can use a Tummy Time Pillow or nursing pillow under his chest to free his hands for play. Giving new meaning to "face painting". You can also try this activity in a high chair if you have an independent sitter. To preserve your little one's artwork, simply cut the edges off the Ziploc bag and then peel off the top of the artwork. Lay flat to dry. And, because part of being a pediatric Occupational Therapist is spending years perfecting the skill of keeping things from going in kids' mouths, I also unleashed my boy on some truly messy play with finger painting OUT of the Ziploc bag...but there were no clean hands to take pictures. Feel free to take a walk on the messy side, if you're brave! 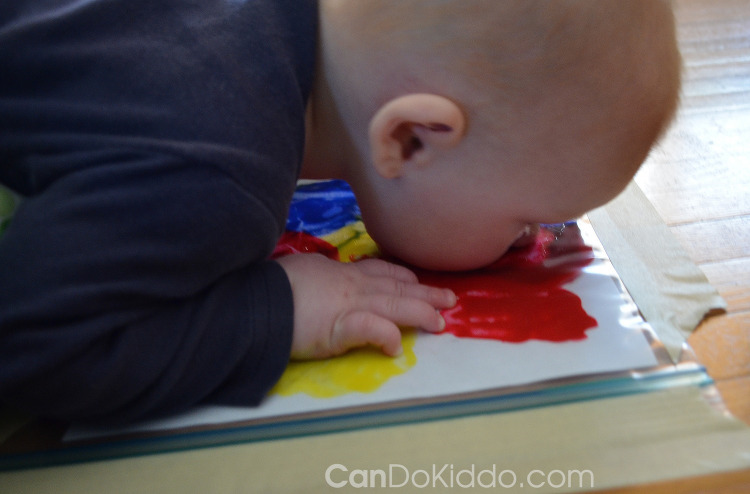 Here's a post with tons of great recipes for baby-safe finger paints from around the web.